Second Wind, a leading provider of wind measurement technology, software and services, has announced an expanded relationship with Dulas, one of the UK's leading renewable energy services firms, designed to offer the UK's wind industry a full range of wind measurement technologies and turnkey field services. Through the new partnership, UK-based wind developers and wind farm operators -- both large and small -- will be able to quickly install the wind measurement systems that are vital in the development and operation of wind farms. This year, Dulas celebrate 30 years of providing engineering, installation, and consultancy services for the UK's renewable energy market. 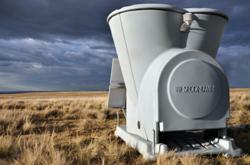 The firm will now sell, rent, and service Second Wind's Triton® Sonic Wind Profiler, the global wind industry's leading remote sensing system. Dulas will also offer Second Wind's Nomad® 2 Wind Data Logger and met mast-based wind sensors in addition to the suite of monitoring equipment they already sell and service. The Triton adds value to Dulas' met mast solution by measuring wind conditions through the full blade sweep of today’s largest wind turbines. This high-height data reduces the uncertainty that is introduced by extrapolating from a shorter met mast. Second Wind's SkyServe® Wind Data Service brings wind measurements from the Triton together with tower-based measurements on a secure web-based dashboard, allowing wind data to be accessed in real time, compared, and securely archived. "Dulas offers a one-stop solution for anyone requiring state-of-the-art measurement systems on their wind projects," said Colin France, Second Wind's Director of European Business. "Dulas offers the flexible, rapid deployment options that today's wind developers and operators need, along with turn-key field support to keep their wind measurement projects operating efficiently." Based in Wales, Dulas -- which has been offering Triton rentals for a year -- decided to expand its relationship with Second Wind to offer its customers a greater selection of tools and technologies for wind measurement projects. "Second Wind's technology and data services allow us to help our customers from start to finish with their wind assessment and wind monitoring needs. In addition, Triton is being used successfully for noise monitoring studies and for stand-alone use on single-turbine projects," says Jonathan Say, Head of Wind Monitoring at Dulas. "Dulas is at the forefront of wind energy in the UK, providing wind turbines, full wind development services, and resource assessment," says Colin France. "Dulas has earned a reputation for innovation and reliability and we are pleased to be partnering with them to offer the UK's wind industry greater access to our technology."